The Primera Sling Bar Height Swivel Arm Chair by Telescope is a smart and attractive addition to your outdoor seating options. 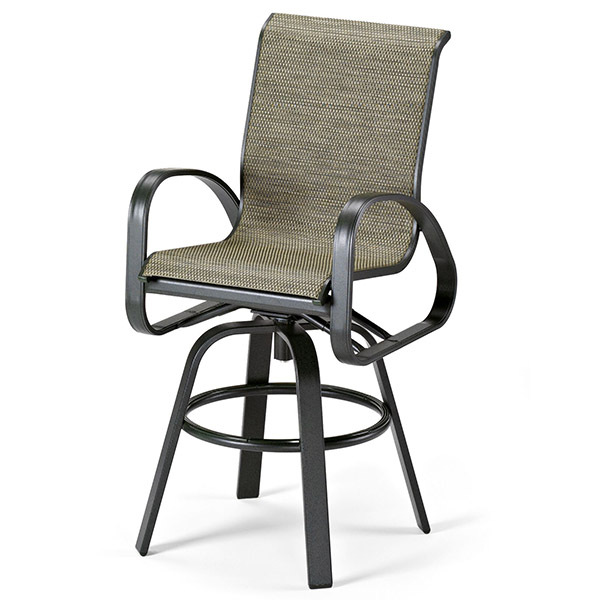 The smooth swivel is just one of the features that make this bar stool fitting for any outdoor bar or bar table. The Primera Sling Bar Height Swivel Arm Chair is fashioned of premium grade aluminum and painted with a peel and chip proof powder-coating. The sling seat is water-resistant, quick-drying and comfortable. Telescope has been making quality patio furniture in the USA for nearly a century, and backs this superb product with a 15 year warranty.